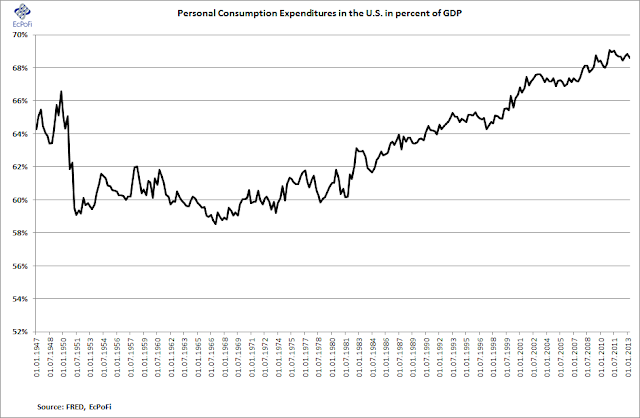 Personal consumption expenditures (consumer spending) in the U.S. made up 68.3% of GDP in the second quarter, having steadily but surely increased since bottoming at 58.5% in January 1967. 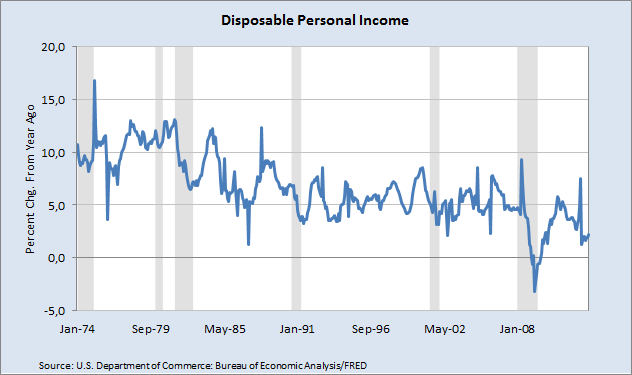 ...it was still higher than the 2.2% increase in disposable personal income. 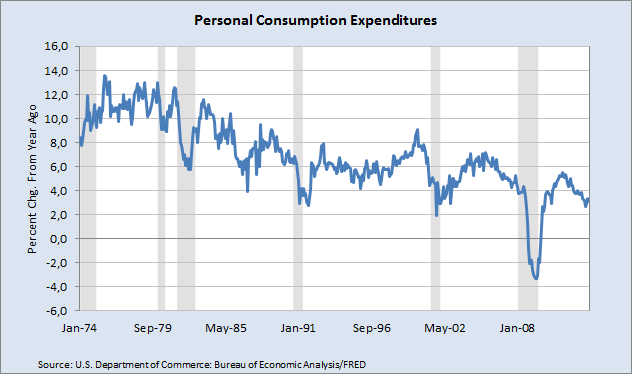 Consumption growth has outpaced disposable income growth every month bar six since October 2009. 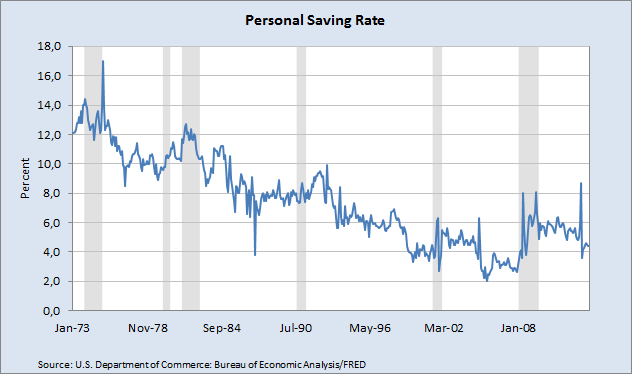 As a result, the personal savings rate has been falling ever since, hitting just 4.4% in July. Year to date, the savings rate has dropped 20.6% compared to the same period last year. With declining disposable income growth and a falling savings rate, the question is increasingly becoming: where will the U.S. consumer get the money to even maintain the current level of spending? Savings as one potential source is certainly getting depleted. At the same time, bank lending growth is falling sharply (here). And with personal consumption representing 65.0% of the 3.1% GDP growth in Q2 compared to last year (down from 72.9% the previous quarter), it's perhaps reasonable to conclude that personal consumption growth will not fuel further GDP growth in the immediate future.